California is ending prohibition on recreational marijuana. It should be good for the cannabis industry, but second-generation cannabis farmer Chiah Rodriques warns new regulations may sacrifice her farm to big business. Over the past few weeks, Northern California has suffered its worst ever wildfires, which have left 42 people dead and 100,000 hectares up in smoke. As well as destroying vineyards, the fires also severely damaged many of California's legal cannabis farms. But unlike their counterparts in the wine industry, most cannabis farmers are not insured because their crop remains illegal under federal law. Our correspondent reports. I was gifted some Ringo’s Gift seeds from Laurence Ringo’s son and started phenotype hunting. I back-crossed a robust male with what I felt was the ideal female (i.e. got lucky) and it grew amazing flowers with great density and a unique nose. I saved a mother and those cuttings became “The Gift” as referenced on Leafly.com. What the California Fires Mean for the Weed IndustryCalifornia's thriving cannabis industry wasn't spared by the destruction. Ashley Oldham, one of only a few dozen legal pot growers in Northern California's Mendocino County, was sound asleep in the early hours of October 9th when she woke to the sound of her neighbor banging on her door. He'd driven through flames and jumped her fence to tell her that she needed to get out, that a fire was headed straight for her home and cannabis farm. There is concern that what has been destroyed, as well as the damage from smoke, ash and lack of water for crops that did survive, could seriously impact the supply for customers when marijuana is legal for sale. “This has been the most financially trying and stressful year ever for farmers. To add a fire with complete losses on top of it leaves me without words,” says Rodriques, whose home and farm lies near the western border of the fire. California cannabis growers reeling from "most financially trying, stressful year ever"
The stresses felt by cannabis farmer Ahren Osterbrink, a Redwood Valley resident evacuated since the onset of the Mendocino Lake Complex fire, are feelings mirrored by countless farmers.  The Emerald Magazine, "Mendocino Generations Collective"
"More farms plan to join onto the Mendocino Generations collective as they complete the process of becoming recognized by state and county agencies as legally compliant."